An energy derivative is a contract based on an underlying asset, such as natural gas, crude oil, or electricity. This toolbox provides functionality to price, compute sensitivity and hedging analysis to many energy options. You can price Vanilla, Asian, Lookback, and Spread options with pricing models that include lattice models, Monte Carlo simulations, multiple closed-form solutions, and finite differences methods. Simulate electricity prices using a mean-reverting model with seasonality and a jump component. The model is calibrated under the real-world probability using historical electricity prices. The market price of risk is obtained from futures prices. 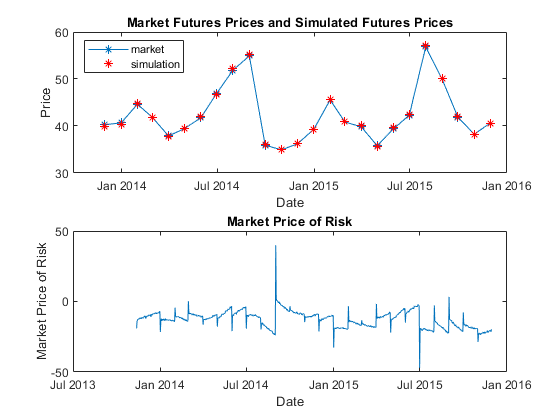 A risk-neutral Monte Carlo simulation is conducted using the calibrated model and the market price of risk. The simulation results are used to price a Bermudan option with electricity prices as the underlying. 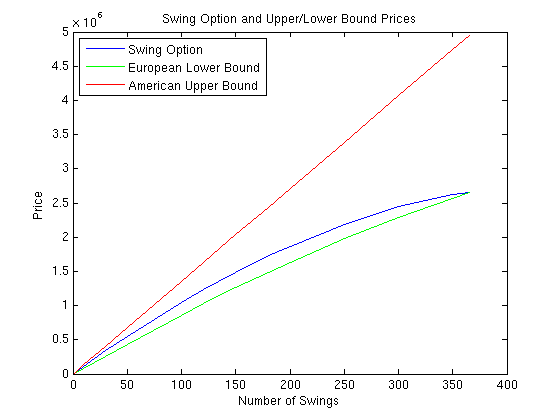 Price a swing option using a Monte Carlo simulation and the Longstaff-Schwartz method. 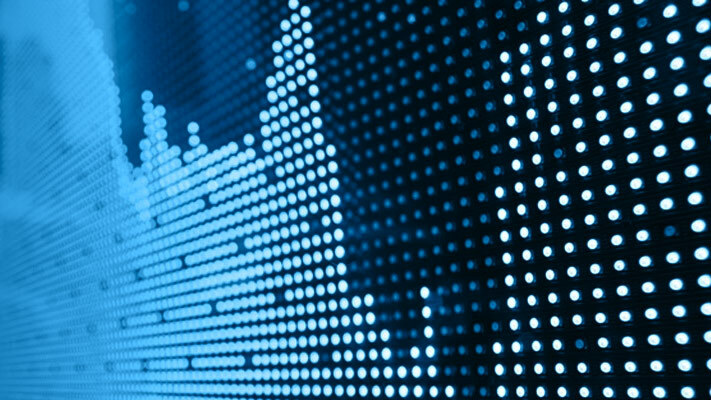 A risk-neutral simulation of the underlying natural gas price is conducted using a mean-reverting model. The simulation results are used to price a swing option based on the Longstaff-Schwartz method . This approach uses a regression technique to approximate the continuation value of the option. A comparison is made between a polynomial and spline basis to fit the regression. Finally, the resulting prices are analyzed against lower and upper price boundaries derived from standard European and American options. 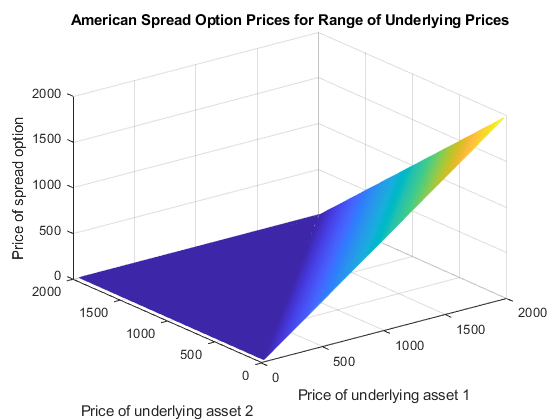 Price and calculate sensitivities for European and American spread options using various techniques. First, the price and sensitivities for a European spread option is calculated using closed form solutions. Then, price and sensitivities for an American spread option is calculated using finite difference and Monte Carlo simulations. Finally, further analysis is conducted on spread options with a different range of inputs.